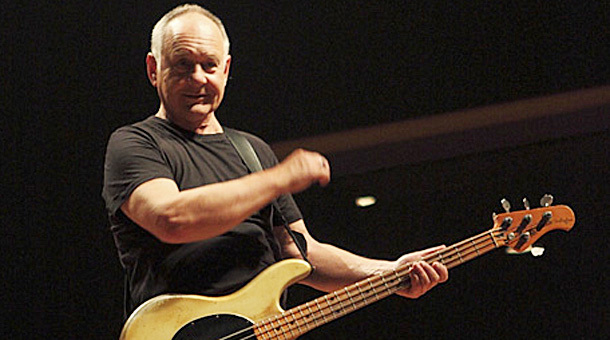 The Angels bassist Chris Bailey has died of cancer. He was 62. He bowed out of the Australian band in January in order to focus on his health battle. He’d known he was ill for some time, but only confirmed the news to fans as he announced his departure. It followed former Angels frontman Doc Neeson’s report that he, too, was suffering from cancer. Bailey said last month: “In July last year I got a tumour in my lower left jawbone, which was removed and replaced with the tibia from my left leg. This was all good – except every time I passed a footy field I began to dribble. “Subsequently, I have developed a rare cancer of the soft palate, for which I’m currently being treated. The treatment involves chemotherapy over the next 5-6 months, and then maybe some radiotherapy. He joined the Angels in 1977 and appeared on their first five albums before leaving in 1982. The band split in 2000 and Bailey returned for a brief reunion the following year, then another, and finally their third reunion which started in 2008. A tribute concert is to be held at Thebarton Theatre in Adelaide on April 17, featuring guests Jimmy Barnes, Diesel, Gang Gajang and more. Proceeds will be donated to Bailey’s family.